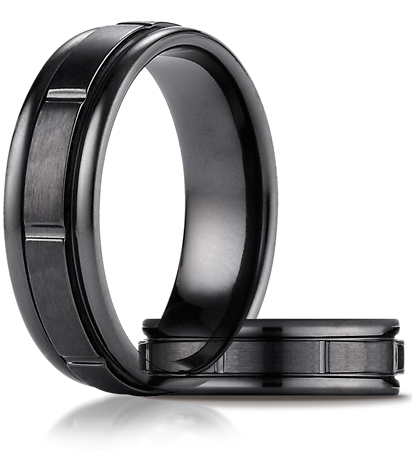 This black titanium ring has a satin-finished center and high polished grooves with round edges. Ring width: 7mm. Comfort fit. Made in the USA.